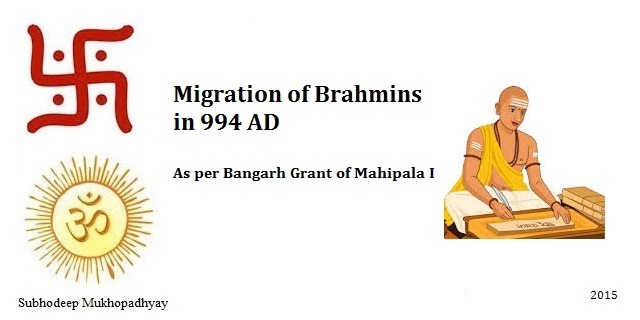 In this post I will talk about the migration of Brahmins as per Bangarh Grant of Mahipala I in 994 AD during his 9th regal year. Mahipala I was the 11th ruler of the Pala Dynasty and ruled from 985 AD to 1035 AD. As per the Bangarh Grant of Mahipala I of 994 AD, Mahipala I granted lands in Kotivarsha Vishaya in Pundravardhana in North Bengal (north of democratic secular West Bengal and Islamic Bangladesh). The donnee Brahmin, Krishnadityasarman (Sanskrit: कृष्णादित्यशर्मन , Bengali : কৃষ্ণাদিত্যশর্মন ) son of Bhattaputra Madhusudana (Sanskrit: भट्टपुत्र मधुसूदन, Bengali: ভট্টপুত্র মধুসূদন) came from Muzaffarpur district in Northern Bihar. 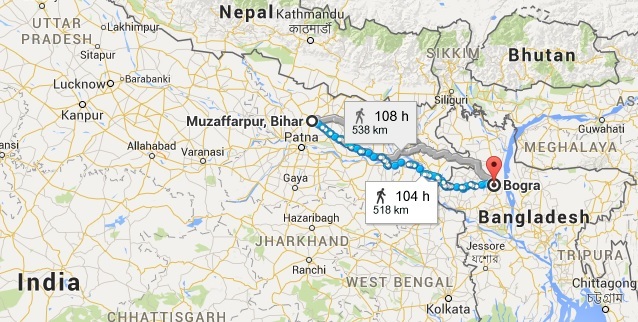 Thus we see an example of a Bihari Brahmin migrating from North Bihar to North Bengal in 994 AD as per the Bangarh copperplates of Mahipala I. Thanks for your time. 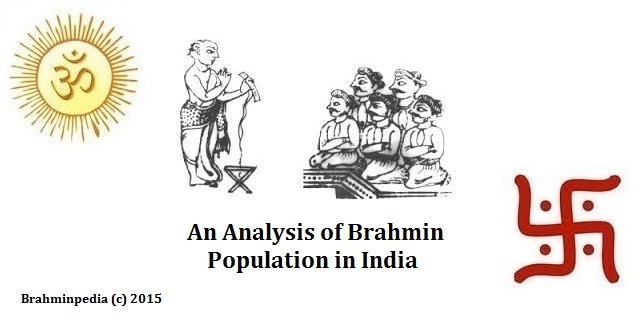 Hope you enjoyed reading Migration of Brahmins as per Bangarh Grant of Mahipala I in 994 AD. Please feel free to leave your comments and do share this post with those who might find it useful.